eEdge is a real estate CRM platform for the exclusive use of Keller Williams Realty agents. 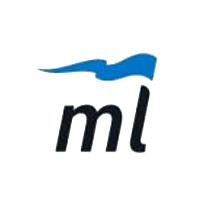 It offers digital marketing, contact, and transaction tools, all in one solution. In this article, we cover user reviews and pricing. Ready to get started with eEdge? Visit their website. As of the date this article was written (01/12/19), there are very few up-to-date eEdge reviews online. If you are a past or present eEdge user, leave a review to help others who are deciding whether or not to use the software. All eEdge features and services are free for Keller Williams Realty agents. Similar software with paid services cost around $12 to $233 per month, depending on the features included. Ready to get started with eEdge? Visit their website. 6 Best Real Estate CRMs for 2018 — In this guide, we compared the best real estate CRM software in terms of price, features, and ease of use. Read on to find out about the top software and apps which ensure that real estate brokers and agents stay engaged with past and present customers. Why is eEdge exclusive to Keller Williams (KW) Realty agents? eEdge is owned by Keller Williams Realty and was developed for their own use. More than half of all KW agents use it as their CRM platform. How can contacts be managed on eEdge? Users can either add a new contact from scratch or export or import previous contacts to and from other programs. Additionally, each contact can be classified either as a hot, warm, or cold lead, and contacts can be grouped together. 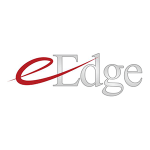 Not sure if eEdge is the right fit for you? Read our reviews of all top real estate software providers or check out one of these three eEdge competitors.